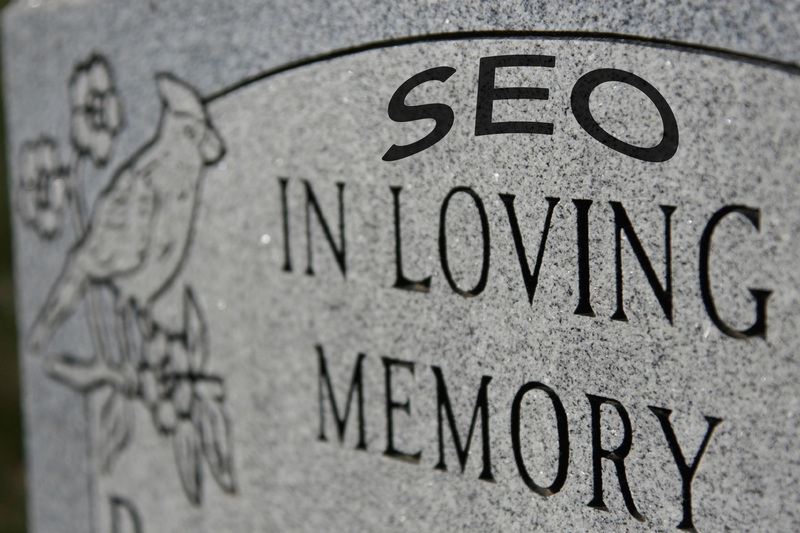 SEO for Google May Rest in Peace. Google may no longer be the answer to your SEO traffic-related prayers, as it’s algorithms move away from rewarding SEO principles and toward featuring sites with the best content. Let’s find out more details. What are you expect when you search for something on Google? When Google in 2013 stopped providing data about keyword popularity, this must have served as a shot across the bow of SEO for Google. It signaled that Google wanted to put a damper on SEO because they had determined it was skewing the results in a way unhelpful to its users. SEO is a big industry. Specially SEO for Google. According to a site called State of Digital, 863 million websites mention SEO globally and every second 105 people search for SEO links on Google. Most of them seem to be looking for “services” or “companies,” which explains how there came to be so many SEO companies. SEO is also an industry full of promises. Despite evidence to the contrary, many SEO mavens continue to insist they can fool the Google algorithm into getting your site – no matter what it is – higher in the rankings. That it is easy to see whether it works when you search for your own company makes it an appealing payoff. But the waters of SEO for Google remain murky and it’s difficult to measure success of SEO in any meaningful way (in other words, even if you got to the top, did it improve your business or did you just accumulate a very high bounce rate?). Now SEO for Google may be going the way of Megalodon, a 100-foot shark rumored to exist but mostly accepted to have gone extinct a million years ago. If it isn’t functionally dead, it’s certainly in the sick-house. Google does not especially want the SEO industry playing games with its rankings, and what Google wants, especially in a case like this, Google gets. Certain SEO principles should not be ignored, simply as a matter of site-hygiene. A well-organized, content-rich site is a good thing to have. But most other SEO tricks and tips have just a bit (if not a lot) of snake-oil in the recipe. It sounds like a great proposition to a site owner: drink a bottle of SEO and your site will zoom vigorously to the top of the heap. But too often, and partly because Google does not seem to want it to, it doesn’t work as advertised. There is no good reason for Google to stop trying to stamp out SEO, because in effect, SEO for Google damps the quality of search results for the user. Google is interested in the user – and, as you might have guessed already, it reduces the value of a paid AdWord link. Because Google AdWords is a form of SEO for Google, which really is SEM (search engine marketing); in other words, you optimize your site’s Google performance by bidding on Google keywords whereby Google makes pretty much all of its money. If you want to rank high on Google, build a good site and market it the best you know how. Just don’t expect SEO for Google to be the answer to your traffic-related prayers because, increasingly, it won’t be. Previous Previous post: Am I Under Attack?